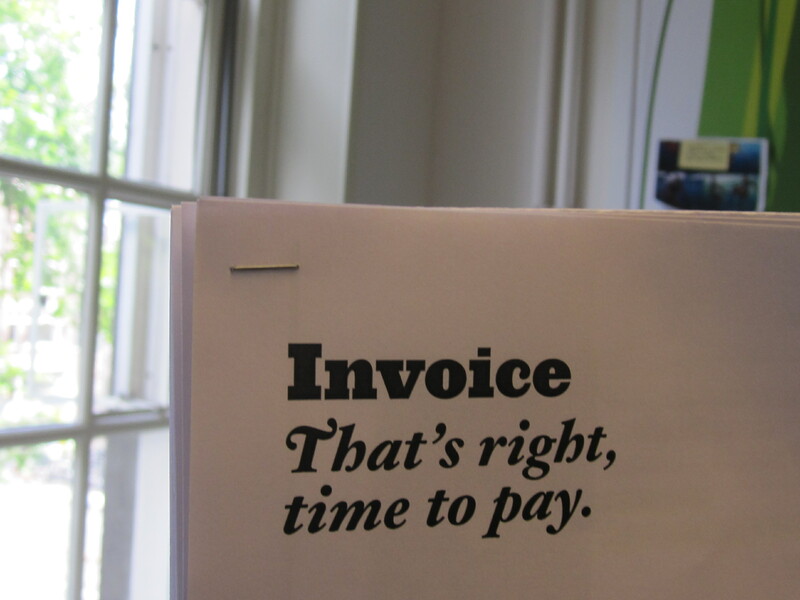 Had to share this – saw the invoice of some local creative talent in Amsterdam and thought their invoice was very smart. That’s a way to get someone’s attention. I love it! I suspect that since they are a small business they use an InDesign file that they make (change what they are billing, the amount) for each invoice. I like that. Though I bet it would be more quickly paid if it was attached to the inside of a box of chocs.